Some people have a honey-do list and others have a honey badger list. 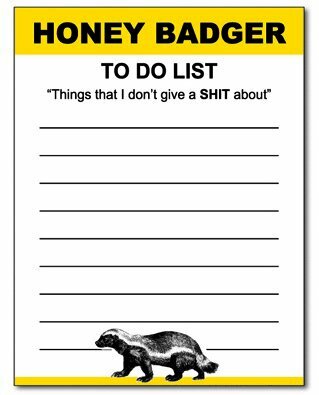 Make your list on the Honey Badger Notepad and it’s a “honey- don’t” list cause honey badger don’t care about things on your list, it says so right there on the notepad. 50 sheets per notepad.